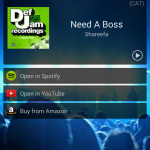 The client app for moosic.fm is available in Google Play. 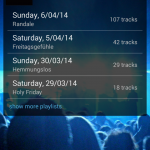 It is by far my most polished and stylish app, that I developed for the German start-up moosic. With moosic.fm you can keep track of the music that’s running in your favourite location. Browse past playlists or see what’s playing right now, all together with previews and cover pictures. In the backend, the moosic listener listens to music in the background and uploads the recognized songs as a playlist. 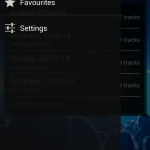 Users can browse these playlists using either the nice web frontend or the native Android App. Note that the technology is currently being tested and evaluated. 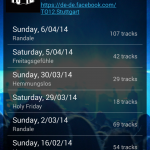 Kodus to T O-12 in Stuttgart for being available for the beta test and to Gracenote for their music recognizing api. For questions, don’t hesitate to contact the guys at moosic.de.